Aim of the project is the reconstruction of bicross cycle track and its adjustment to the so-called “Pump track” for the general public. The pump track is a track up to two meters wide for mountain and BMX bikes, consisting of deliberately constructed waves and banked curves. The distribution of elements creates circuits that can be combined as long as the rider has sufficient physical stanina. The waves are used for the production of speed without pedaling. Proper technically constructed pump track provides the opportunity for advanced riders to jump from one wave to another, compared to beginners who will just copy the waves. Riding the pump track is simple. Children are able to learn to ride on the track in 30 minutes. 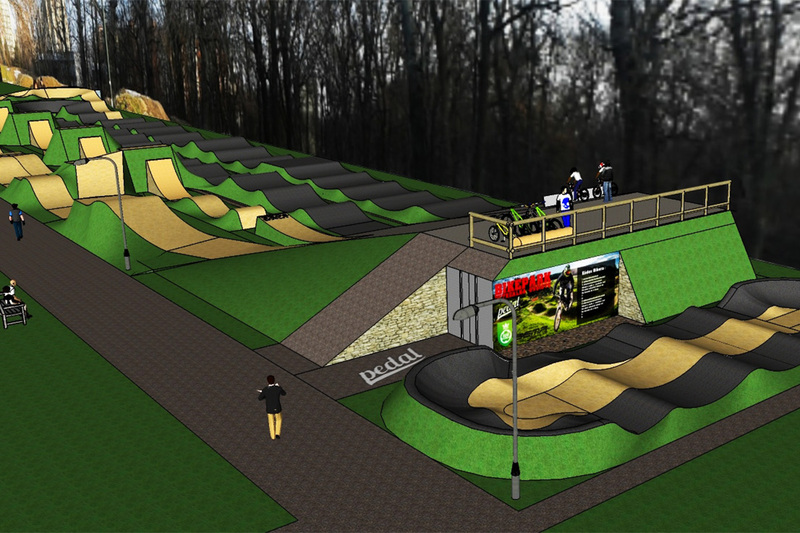 Nevertheless, pump track provides plenty of opportunities for a number of years, thanks to various combinations of individual circuits and the ability to improve the technical level of cycling. 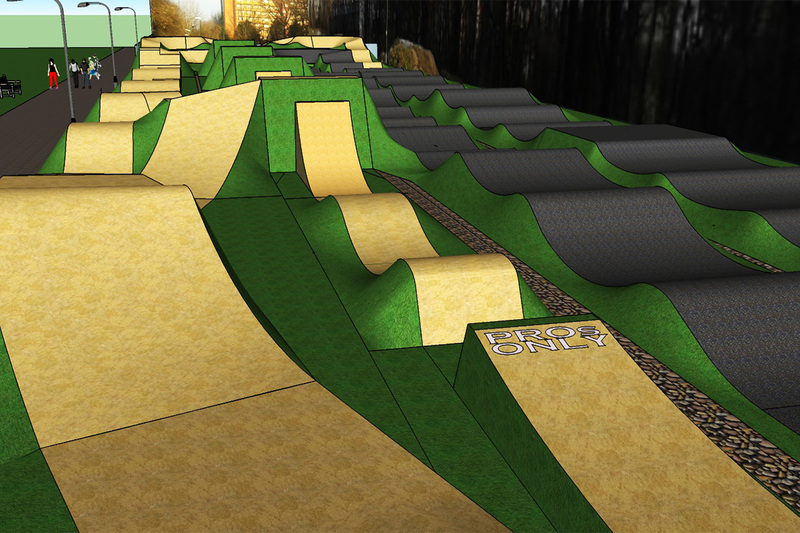 The proposed pump track will be located on Haanova street in Petrzalka in Bratislava.